Lifestyle photographer, Devin, took this endearing shot of Elvis-loving couple Daniel & Theresa during their post-ceremony photo session on October 10th, 2016. Congratulations Devin on winning October’s Photo of the Month for the Lifestyle Photography category! Our Lifestyle wedding photographers can be added to any of our wedding packages. 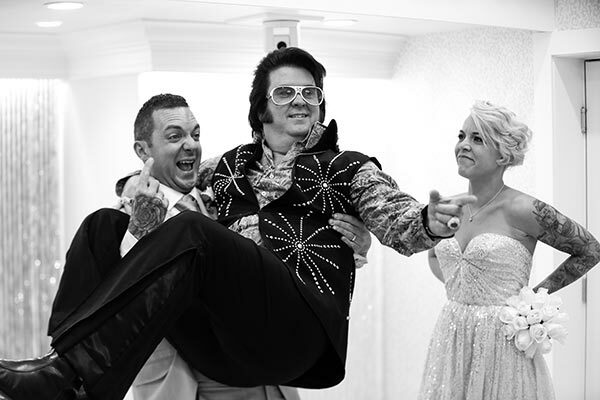 Contact our wedding planners to find out more about our Las Vegas weddings. Vote for Photo of the Month!